Hop-On to learn more about how Piggyback App is changing the way people connect with arts and cultural organizations across the country! Then, you can impact millions of culture seekers and thousands of arts and cultural organizations with your support! In North America there is a pressing need to connect diverse cultural tourists from around the globe with our arts and cultural organizations. While there are over 50,000 to explore in the United States alone, only 3-6% of them are widely known and even less are household names. With arts budget cuts becoming the norm at local, state and national levels, the need is pressing for providing free arts and cultural access to both die-hard culture fanatics as well as to new and underserved audiences. With growing popularity in home-based entertainment at an all time high and many cultural non-profits struggling to stay open, presenting people with a free resource that will connect them with customized cultural options, increased community engagement and an improved quality of life is a new strategy destined to have a major impact. Piggyback App is that new strategy and its impact has already been felt by 1,500+ cultural organizations and events and 20,000+ users from 6 continents. Piggyback's team has been made up of museum professionals, educators, non-profit administrators, multimedia content producers and mobile/web developers as well as industry experts and 'regular folks' that have simply been known to travel from time to time. Since 2014, they've created a free mobile application for smart devices along with a web-based content management system from the ground up, basing their strategies on needs observed from within the walls of cultural organizations themselves and from the needs and wants of the general public. 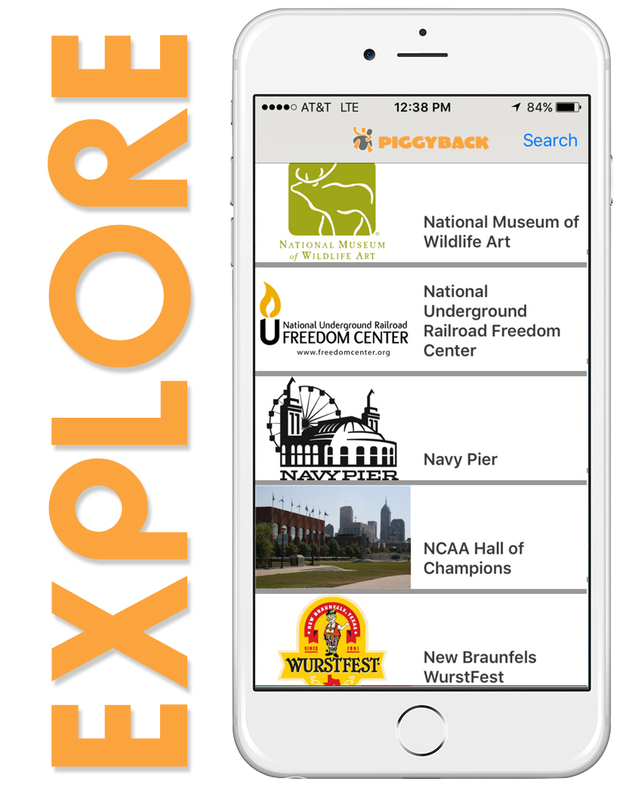 Piggyback App has been adopted by a diverse assortment of cultural attractions including zoos, museums, festivals, historic sites, performance venues and even sate and regional museum associations across the country. Piggyback has been their engagement tool of choice for reaching the most users with their educational content, self-guided audio and video tours, for ticket sales and donation acceptance and for simply connecting their mission with the thousands of other organizations all accessible for free by anyone with a smart-device. In 4 short years of self-funded exploration, growth and proof of concept testing, the timing is right to accelerate Piggyback's impact across the country in a serious way. Organic growth by a dedicated team of volunteers, contractors and continual reinvestment of earned revenue has green-lit the realization that now is the time to aggressively scale growth and outreach efforts through substantial funding. This funding will allow Piggyback App to have a dedicated full-time staff, sustain a PR and marketing budget, increase arts and cultural access to an even broader base of users through multi-lingual and Section 508 accessibility upgrades, connect underserved audiences to low-cost and free cultural options and to continue to let mid-sized and small non-profit arts organizations benefit from the nation's largest free mobile platform for cultural exploration. With the success of Piggyback App comes many positive ripples. A simple and free mobile app platform that puts our nations 50,000+ museums, historic sites, zoos, performance venues and festivals at the fingertips of millions without biased search results or omissions due to budget constraints. It creates jobs for a dedicated team of passionate cultural enthusiasts who have dedicated their professional lives to the sharing of cultural missions. 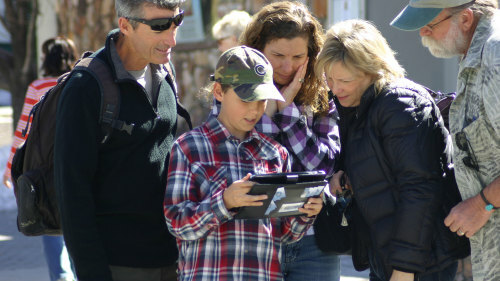 It connects people to their communities and their neighbors in engaging new ways and inspires many whom wouldn't have known about all of the experiences around them. The increased exposure to cultural tourism options will increase visitation and therefore revenue and job stability for thousands of cultural attractions. If funding isn't secured for the further growth and expansion of Piggyback App, and its mission, it will lose its current momentum and trajectory for maximum impact. Most cultural attractions will return to not having a free mobile strategy for engagement and they will lose their network for user outreach as well as piggybacking with organizations of all scopes and sizes. Our users will resort to only learning about organizations with large enough budgets to advertise and pay for optimal search engine results. Already struggling cultural organizations will have one less tool for visitor engagement and outreach. Please make a tax deductible gift to support free arts and cultural access today. By supporting Piggyback App in this way, you are allowing new groups of people to connect with organizations of all sizes and budgets, with missions of all types. You're providing access and inspiration to millions of people that aren't currently engaged in the arts and tens of thousands of organizations that need this platform to communicate with those people.